Market researcher NPD Group declares the iPhone as the best selling mobile phone handset in the US for the third quarter of 2008. According to their research, the iPhone surpassed the Motorola Razr in sales with over 6.9 million sold. Other handsets in the top five were the Blackberry Curve, LG Rumor and LG enV2, came in trailing after the Razr which obviously lost to eh iPhone after 12 quarters in the lead. According to the NPD Group findings, cell phone sales have generally gone down in the past year and that average selling price of handsets have gone up 6% to $88. 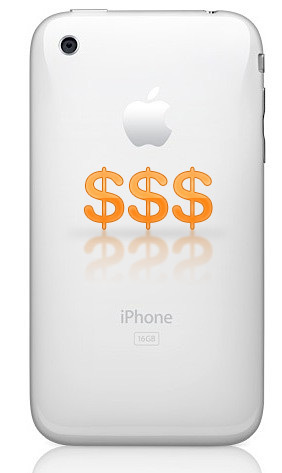 Despite these economic markers of bleakness, the $200 iPhone is still selling like pancakes. Reasons for the iPhone’s success are obviously its top of the line feature set, internet rich capabilities and relatively cheap bundling with AT&T. Apparently, the internet features, camera and text messaging features are the hot items for today’s consumers.